Sasha Sabbaghian's monster chiplead is gone, Warren Kashiwagi taking over the top spot with 2 million now. Robert Pacleb - 3rd here in the Poker Night Main Event last year for 40k and owner of a Remington from LAPC a few years back - is up to 1.4 million, while Sabbaghian is down to 800k from a high of 2.5 million. 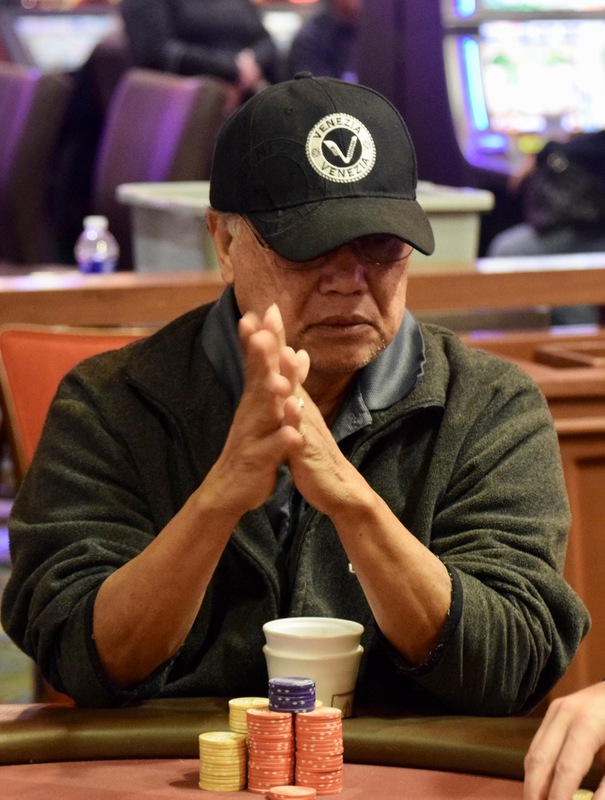 Hong Moon and Will Chao evenly divide the remaining chips at this 5-handed final table.